Humble Reasoning Versus Authority by Mitch Emery | कृति मेरे मन की……. The causality principle says that every event has a cause, and the same cause must have the same effect, or that the cause must have at least as much reality as the effect. The principle is somewhat akin to the principle of sufficient reason in that whatever causes something to be of a certain sort must itself be of that sort to at least the same degree. For example, whatever makes something hot must itself be hot. If this basic principle holds true, then laws of nature from the time of creation were passed down throughout the entire universe. In other words, all things big and small should be governed by the same set of physical laws. The causality principle goes along with rational thinking and common sense, and yet it’s frequently ignored in theoretical physics. Popular belief at the time of Galileo put the earth stationary at the center of the universe, while the sun and the planets revolved around it. The earth was considered unique, and physical laws were presumed different on Earth than with celestial bodies. 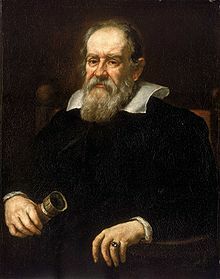 Nevertheless, Galileo refused to believe the earth was special. Galileo defended the Copernican model of the universe in which the sun is central, while the earth and other planets revolve around it. This way of thinking went against the authorities at that time, and Galileo was persecuted for his beliefs. Yet as we now know, Galileo was right! The idea of a sun-centered universe was a radical change in thinking and not easily accepted. The opposition claimed that if the earth was moving we would feel the motion, and that a falling object would not fall straight downward. In order to overcome these objections, Galileo developed the concept of inertia. Inertia is the resistance of any physical object to a change in its state of motion or rest. But unlike today’s principle of inertia, Galileo believed circular motion was the natural thing. Accordingly, planets were said to move naturally with uniform circular motion. However, this idea was contrary to Kepler’s discovery that planetary orbits are elliptical rather than circular. As a result, Galileo’s concept of inertia was modified by others to include uniform motion only in a straight line. This updated concept of inertia was then codified by Newton as the first law of motion. The first law states that a body at rest tends to remain at rest, and a body in motion tends to move in a straight line at a constant speed unless acted upon by an unbalanced force. Ironically, Galileo’s original concept of inertial motion would reappear 300 years later but in a more sophisticated way. Special relativity put the speed of light (in free space) at the same value for all observers, while the passage of time slows down as we approach the speed of light. This goes against intuitive thinking, but the authorities claim that it’s been proven with highly accurate atomic clocks. But can we not assume that only the function of a clock slows down due to the clock’s motion, while the passage of time remains unchanged? The reality of ‘time’ has no physical properties. How can a physical phenomenon, such as motion, have any effect on something physically non-existent? Einstein’s theory also allows two different clocks to each tick more slowly than the other. These things are only the beginning of more strange things to come. According to Einstein’s theory of general relativity, planets move about through curved space-time while their orbits are described as inertial motions. Gravity is not considered a force; it is only a fictitious force. If Einstein’s theory is true, then Galileo’s concept of circular inertia was at least partially correct and thus a precursor to general relativity theory. This is an example of how old ideas are sometimes reinvented and brought back in a more sophisticated way. Nevertheless, Einstein’s version of gravity is not without problems. 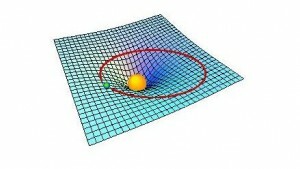 In general relativity, we assume that space-time is curved by the presence of matter. Large bodies, like the sun or the planets, cause space-time to curve and result in the effects of gravity. However, a mechanism by which this happens has yet to be found. 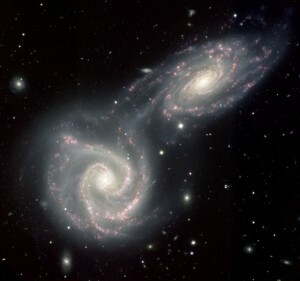 Furthermore, it was discovered that galaxies spin so fast that they should fly apart, and yet they don’t. They appear to need more gravity in order to hold themselves together, but more gravity requires more matter. Hence, the idea of dark matter was conceived. Dark matter cannot be seen or physically detected, but it fills the void and satisfies the need for more gravity. On the other hand imagine what Galileo would think. It’s quite possible that we simply don’t understand gravity. Modern physics only gets stranger in the microscopic world of quantum mechanics. Quantum theory is indeed highly successful from a mathematical point of view, but philosophically speaking it’s a disaster. Causality and rational thinking are totally dismissed, while particles seemingly perform acts of magic. Experiments are conducted where single photons are fired at a barrier with two small slits through it. Authorities claim that individual photons pass simultaneously through both slits and then interfere with themselves. And there’s more! The arrow of time is said to flow backwards with the propagation of light so as to allow certain effects to happen prior to their cause. Of course these ideas are not absolute truths. They are only the best interpretations based on prevailing assumptions and existing theories. Experiments also show that certain particles have the ability to communicate instantaneously across the universe. Yet any speed faster than light violates special relativity theory. Thus we can be certain of at least one thing–something is wrong in theoretical physics.